The release of a video showing gruesome animal welfare practices at a halal slaughterhouse in the U.K. has led to the firing of four slaughterhouse employees - and a slew of questions about the ethics of no-stun slaughter. The hidden camera footage, taken by the group Animal Aid at a facility called Bowood Lamb, in North Yorkshire, England, shows workers kicking, standing on and pinning down sheep as they prepare them for slaughter. 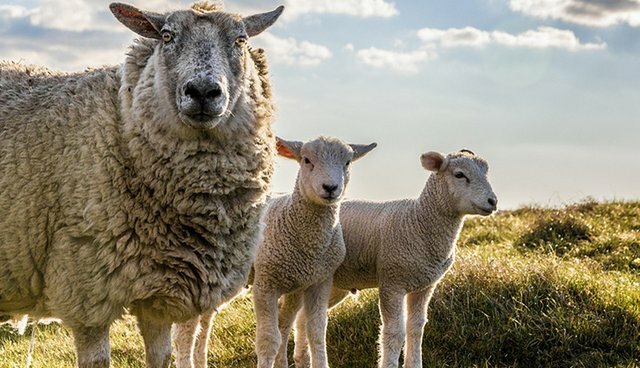 While U.K. law usually requires that livestock be stunned before slaughter, there's an exemption for halal meat, or meat from animals slaughtered in the Muslim tradition. The law does require that animals do not see the knife before they are killed, and that they are killed quickly and with one sharp knife slash to the throat. In the video, sheep are cut several times over their throats before they eventually die. Animal Aid said that the behavior in the video is "routine" for the facility - a claim that Bowood Lamb denies, according to the Guardian. Last year in the U.K., some 2.4 million sheep and goats were killed while they were conscious, for religious reasons. Previous investigations have also shown upsetting treatment of animals at non-religious slaughterhouses and in the U.S., as well, such as workers stabbing cows at a Digiorno's pizza cheese supplier, egg-laying hens scalded alive at a Minnesota facility and dozens more. The Food Standards Agency takes animal welfare at abattoirs [slaughterhouses] very seriously, which is why we immediately suspended the licences of the slaughtermen involved. There is no excuse for treating animals in the way shown on the video and we are therefore investigating the footage with a view to prosecution."